Hyper, as ERP system, allows to manage the human resources of the organization. This module allows to manage employees, hyper users, Authorizations, employees cards, attendance reports, working arrangements and authorizations groups. The tabs and functions of this module are available according to the users authorizations. When first installing Hyper and running it in a Setup Mode, the system admin should define the Authorization groups and then create the first user for the system admin. This user should have a full access to all of Hyper's modules and tools. These authorizations should be defined in the Authorization tab of the Employee card. 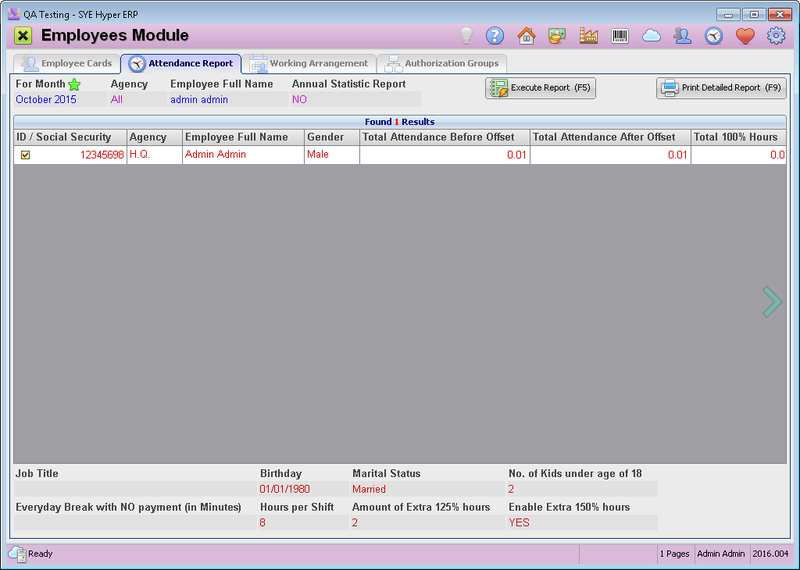 This is the primary tab of the Employees Module. This tab is used for creating a new employee card, managing the employees details and defining users. At the top of this tab, there is a search tool that allows to display employees cards, according to the employee's Full Name / ID Number / Hyper Authorization Group. Press the button to display the required search results. Alternatively, press the search wizard button, to use or define required filters for advanced search. Personal Details - Update and modify the users personal details. Employment Details - Define the employment details, shifts hours and layout, extra hours payments, etc. Authorization - Define the authorizations for this Hyper user. Attendance - Display and modify the attendance report of the employee, according to authorizations. Commissions - Add commissions and display the commissions records for the employee. Login / Out Log - Display the login and the logout records of the user, for selected dates. User Authorization viewer - The user's authorizations in Hyper. For further information about the employee card, click here. The information fields at the bottom of the table, display additional details for the selected employee records. Additional information fields can be added according to the user's needs. Create a new employee card. For further information click here. This button opens the Remove Employee (User) Wizard. This window displays the user's details and allows to remove this card. For further information click here. This button is used for validating the user's Email account. The system will check the email account of the selected user, display its details and the testing results of receiving and sending messages. For further information, click here. This tab is used for producing the attendance report for the selected employee. 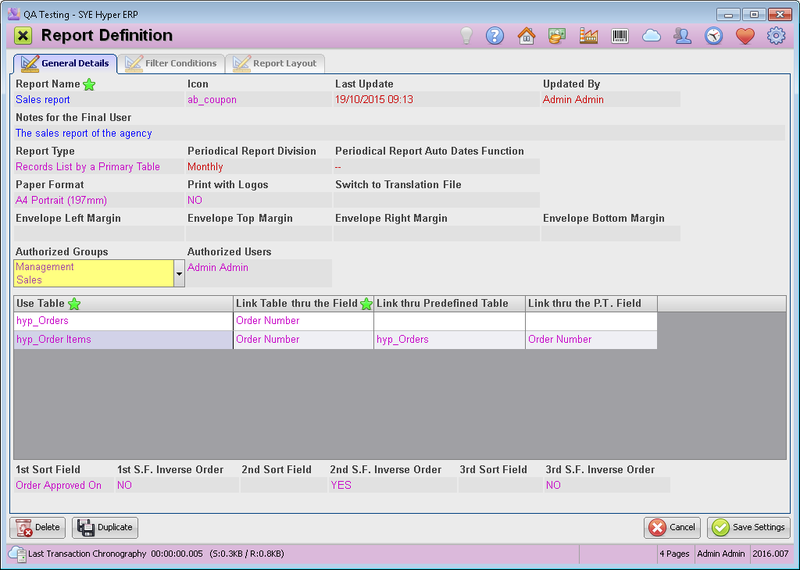 In order to execute the report, press the Execute Report (F5) button. As default, the table will display all of the employees and their attendance for the current month. Use the filter fields at the top of this tab to display the attendance for required month / agency / employee. In order to execute annual statistic report for the selected employees, choose YES in the Annual Statistic Report field. The results table is used by the HR manager to get the required information about the attendance records of the organization's employees. For each of the employees, the system presents the employee's details, the total attendance before / after offset, extra hours, working days, day off / holiday / sick day hours, etc. Additional information fields can be displayed in the table and beneath, according to the HR manager requirements. In order to print the attendance report, select the required employees by using the check boxes in the "ID / Social Security" field. 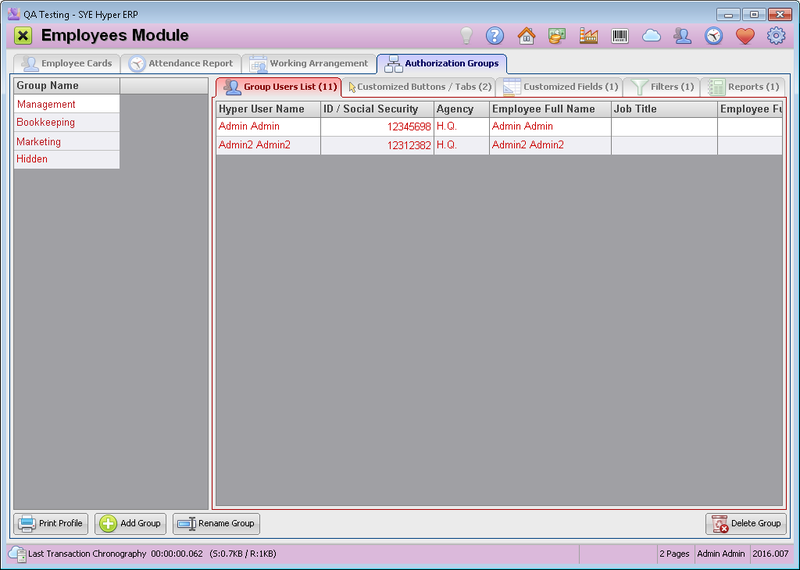 Press the Print Detailed Report (F9) button, to open a preview of the attendance report. The attendance report includes all of the selected employees and the system allows to print it or alternatively export the report or send it by Email. The attendance printed report includes the employees details, employment conditions and terms, and the attendance records for the selected month. This tab is used for creating and printing the working arrangements for agency / department. Print Names in English The values of the "Last / First Name in English" fields, will be displayed in the working arrangement table. Print Job Titles Choose whether to add the job title of the employee, as defined in the employee card. This option is usually in use when there is a need to mention that the employee is a shift leader / manager. Working Day Starts At Define a time for the working day to begin. 1st Crossover At Define the time for the 2nd crossover (if exists) to begin. 2nd Crossover At Define the time for the 3rd crossover (if exists) to begin. Working Day Ends At Define the time for the end of the working day. Working Arrangement for Choose the date of the required week for the working arrangements. Agency / Department / Category / Hyper Authorization Choose required category and values for the working arrangement. Press the Print (F9) button to open the preview window. This window also allows to save the working arrangement as PDF file or send it by Email. 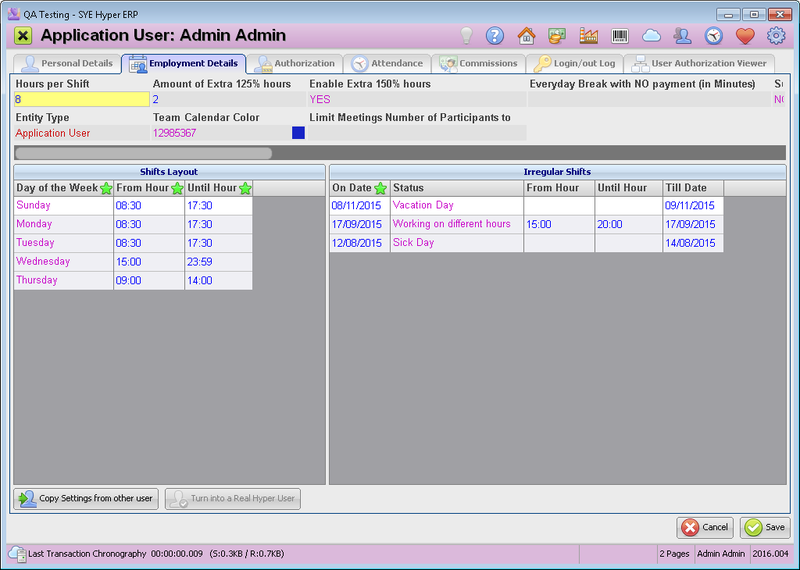 The working arrangement (Image 3) displays the employees and their working hours in each day of the week. The working arrangement dates as well as the agency, the department and the Hyper authorization, are displayed at the top of the working arrangement file. The employees are displayed according to the defined shifts layout in the Employment Details tab of the employee card (Image 2). The authorization groups allow the system administrator to define authorizations for any required group (e.g. departments / managers etc.). The users can be easily related to the defined authorization groups. Group Users List - This tab displays the list of users of the selected authorization group. Customized buttons / Tabs - This tab displays the buttons / tabs that can be viewed and used by this group. Customized Fields - This tab displays the fields names and tables, that can be viewed and used by this group. Filters - This tab displays the filters that are available for this authorization group. Reports - This table displays the name and details of the reports which are available for this group. Print the details and definitions of the selected authorization group. Create a new authorization group. Change the authorization group name. Delete Authorization group. Please note - authorization groups with related users can not be deleted. 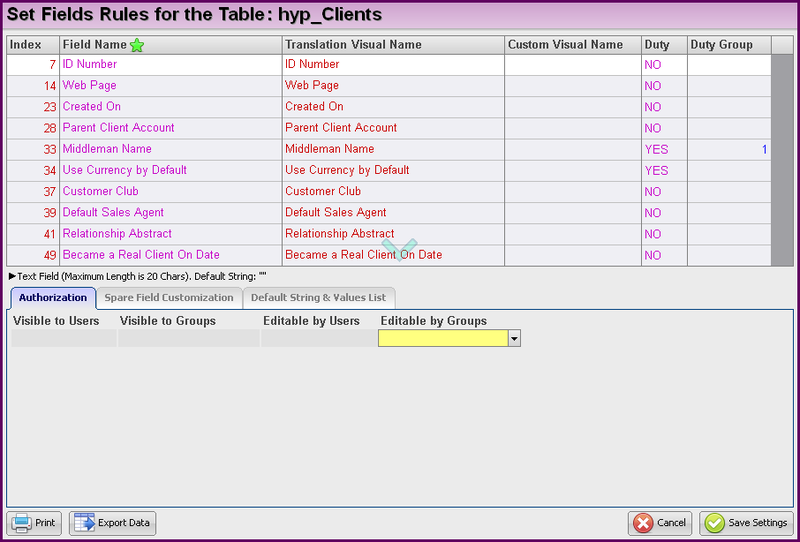 Hyper allows to define buttons, tabs, fields, filters and reports, to be available to selected authorization groups only. Please note - in order create these definitions, the user must be defined as "Enabled to Modify System Fundamentals" in the Authorization tab of the Client Card. Create a new authorization group by using the Add Group button. In the "Add Group" window, fill in the new group name. In the Copy Settings from Group field, the system allows to copy the settings from other group. In this window, select the required authorization groups in the "Enabled to Groups" field. Use the "Enabled to Users" field to define the authorization for selected single users. In the "Authorized Groups" and "Authorized User" fields, select the required authorization groups and users for this report. Press the Save Settings button. The Built-in CRM Reports authorizations, should be defined as described above, in the "Button / Tab Authorizations" section.